A newly-leaked memo from the Department of Homeland Security (DHS) reveals the Obama administration is seeking to sidestep a federal court injunction that suspended portions of the president’s amnesty-based initiatives known as Deferred Action for Parents of Americans (DAPA) and Deferred Action for Childhood Arrivals (DACA). In short, Obama is determined to impose his transformational agenda on the nation by any means necessary. According to the Hill, the document outlining the administration’s attempt to thumb its nose at the rule of law was prepared at a DHS “Regulations Retreat” last June, four months after a preliminary injunction was initially imposed by Texas Judge Andrew Hanen and subsequently left in place by a three-judge panel of the United States Court of Appeals for the Fifth Circuit. The Fifth Circuit's final ruling on that injunction, either confirming or reversing it, is expected to occur in a matter of days. Apparently the Obama administration couldn’t care less. The retreat was convened to discuss options regarding work permits for illegals, statutorily known as Employment Authorization Documents (EADs). The memo recording those discussions reveals the administration had no intention of waiting while the court determined the constitutionality of Obama’s effort to nullify immigration law. Rather, they have been preparing to roll out one or more of four separate plans aimed at providing EADs to millions of illegal aliens. The memo states that Option 1 would grants EADs to “all individuals living in the United States,” a group that includes illegal aliens, visa-overstayers, and H-1B guest-workers. Option 4 provides EADs to individuals on certain unexpired non-immigrant visas, the Hill reports. Both options directly violate the Immigration and Nationality Act that ostensibly protects American wages and job security from excessive immigration, and completely subverts the nation’s current visa system. The number of individuals benefiting from these initiatives is infuriating. Option 1 would “address the needs of some of the intended deferred action population,” meaning anyone physically present in the nation who has been prohibited from obtaining an EAD until now. That definition applies to 4.3 million people covered by DAPA and the Expanded DACA programs, despite the reality the benefits accruing from those programs were supposed to have been stopped by the Hanen decision. In addition, the DHS plan would provide EADs to individuals with temporary non-immigrant visas, such as H-1B visas holders whose work authorizations are tied to their employers—along with an additional 5-6 million illegal aliens yet to be included in any part of Obama's deferred action amnesty agenda. The DHS is contending it can unilaterally separate the work authorization requirements contained in the 1986 Immigration Reform and Control Act from the rest of U.S. visa statutes. And while it can’t ignore legal requirements with regard to issuing visas, the Obama administration insists it has discretionary powers that should shock any American who believes in the rule of law. 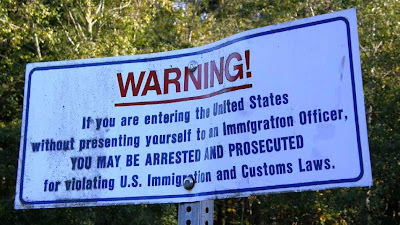 In short, Obama and his minions contend they have the power to grant anyone currently residing in the United States, regardless of status, a work permit. Ironically, the authors of the memo concede the beneficiaries of the Obama administration’s offensive against the rule of law will still “face difficulties in pursuing permanent residence due to ineligibility or being subject to unlawful presence inadmissibility for which a waiver is required.” This is a reference to the reality that an EAD is not the equivalent of a green card, and an EAD holder will ultimately have to apply to “adjust their status,” an undertaking that cannot be accomplished absent evidence of lawful status to begin with. Unsurprisingly, the memo’s authors envision a solution for that dilemma, noting the DHS’s “macro-level policy goal” is aimed at helping illegals remain in the United States “until they are ready and able to become immigrants.” In other words, the DHS envisions itself abetting lawbreaking. If these initiatives are successful, the impact on American workers would border on catastrophic, especially for college graduates. American universities churn out approximately 800,000 graduates per year with degrees in medicine and business, as well as science, technology, engineering and mathematics (STEM). These graduates are already having trouble finding jobs in their respective fields, and Obama’s agenda would add the insult to injury, forcing them to compete with foreign workers willing to accept lower wages. A scathing column written by a former Disney IT worker recounts the company’s despicable effort in that regard. Disney forced their American workers to train their foreign counterparts prior to being laid off as a condition for receiving their severance pay. A number of other companies, including Microsoft, Facebook, Google, Infosys, Tata Consultancy Services, Intel and Qualcomm have all clamored for increased numbers of H-1B visas, even as many of them have laid off American workers. Not exactly. Virtually every Democrat is behind the president’s plans, as are many Chamber of Commerce-beholden Republicans who are on board with increasing the number of H-1B visas. They include Sen. Orrin Hatch (R-UT) who, along with co-sponsors Sen. Marco Rubio (R-FL) and Sen. Jeff Flake (R-AZ), proposed a reincarnation of the 2013 “I-Squared” bill called the “Immigration Innovation Act of 2015.” The latest version would increase the number of H-1B visas from the current level of 65,000 a year (plus 20,000 for holders of U.S. graduate degrees), to 115,000, “with the possibility of the cap rising as high as 195,000 depending on economic conditions,” Hatch stated last April. This despite the reality that since 2000, the entire net gain in the number of people holding a job went to immigrants, both legal and illegal, according to a 2014 report by the Center for Immigration Studies (CIS). And make no mistake: the Obama administration is leading the charge, along with the entire Democrat Party and a number of Republicans, whose contempt for national sovereignty is only surpassed by their efforts to label those who resist the fundamental transformation of America as bigoted, nativist and/or xenophobic. It behooves the 26 plaintiff states that have challenged Obama’s agenda to make sure the Fifth Circuit court of Appeals is fully informed with regard to the DHS memo and the administration’s attempt to subvert the law. Sad to say, either they, or ultimately the Supreme Court, may be the last line of defense against a cabal of politicians and well-connected corporate oligarchs, and their supra-nationalist ambitions. It is not just America, but the concept of the nation-state itself, that hangs in the balance.